Home / How Do I Know I’m Selecting the Right Filter Cloth and Filter Cloth Manufacturer? How Do I Know I’m Selecting the Right Filter Cloth and Filter Cloth Manufacturer? Micronics offers standard and custom filter press cloths for all makes and models of filter presses. Benefit from our superior applications expertise for your industry and operating conditions. 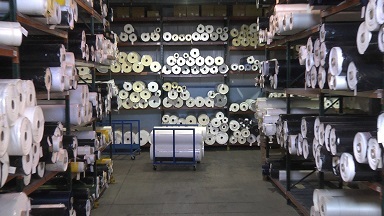 We’ll help you navigate the filter cloth selection process so you can feel confident you are selecting the right cloth to optimize your operation. Filter cloth is the key ingredient to optimizing your filter press operation. So, when it comes to getting the best cloth for your company’s filtration needs, you can feel confident turning to Micronics. Here are some facts about Micronics and the Micronics brand of filter cloth. 1. Micronics manufactures all of our filter cloth in our state-of-the-art manufacturing facility in Portsmouth, NH, USA. 2. Micronics maintains an extensive on-hand inventory of durable, high-performance rolled goods to meet your needs including advanced materials like polypropylene, polyethylene, polyester, polyamide (Nylon) and Rilsan®. 3. Our filter cloths are available in many different materials, yarn types, and weave patterns to meet your exact filtration needs. 4. Micronics utilizes several state-of-the-art laser-cutting machines to ensure consistent high quality and fast turnaround time. 5. Our years of textile expertise allows us to develop customized cloth recommendations for any application, including yours. Micronics works with you from the ground up to deliver the filter cloth that achieves the performance advantages you need from particle retention to improved cake release to drier cakes to longer cloth life and more efficient filter press operations. 6. Peter, Tim, and the team are happy to assist you in filter cloth selection, considering a whole range of factors such as need for resistance to chemical attack, tensile strength, thermal properties, and abrasion resistance so that the filter cloth you receive is precisely right for your unique set of operating conditions. 8. Not only do we supply top-quality filter cloth, but we offer deep filtration expertise, too. If you have a filtration challenge, chances are we have encountered something very similar in the diverse industries we serve including edible oils production, mining & mineral processing, industrial wastewater, chemical manufacturing, pigments & dyes, and breweries & wineries. Contact us to learn more about how we can meet your filter cloth needs. Order your replacement cloths at 866.481.3694 or Request a Filter Cloth Quote. When you work with Micronics, we’ll help ensure you feel confident that you are selecting the right cloth to optimize your filter press operation!